There are many different ways to build a business website and here are 5 of the easiest to get you off to a fast start. There are many different ways to build a business website, including hiring a web developer, so you have to decide on which is best for your needs and budget. If you are just starting out then you may find it all a little confusing, but don’t despair as we’re going to explain a few of the best options to you right now. The service-hosted options such as Wix are like renting your house instead of buying it. You can still decorate to your taste and run it day to day, but your Landlord will take care of the maintenance. The self-hosted options such as WordPress are more like buying your house, as you get complete control. But if you have any problems, your hosting company will often help you via live chat. The ‘Done For You’ option with a ready-made targeted webpage and online advertising included. This focuses directly on using cost-effective advertising to send visitors to a specific webpage and can convert visitors into customers very quickly. Your choice depends on your expectations and how experienced you are with online marketing. The first two options are fine if you have some experience in attracting visitors to your site. Drag and drop website builders are great, but getting your website online is only half of the story, as you need to attract targeted visitors to spend money with you. Although you get some visitor attracting tools with the website builders, they are not as fast and effecient as the more established, popular and proven methods such as high-visibilty online advertising, which is included in our done for you option. So our 5 choices include 3 service-hosted brands, the main self-hosted option WordPress and a completely done for you solution. 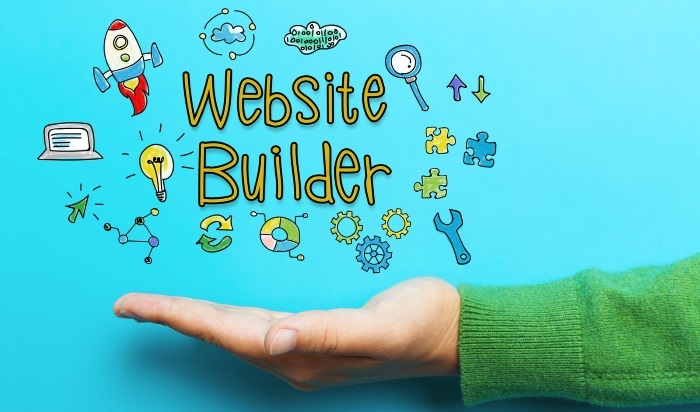 You’ll soon see how easy it is to build a very professional and stunning website, without spending 1000’s on having a website designed and built. Launched more than a decade ago, Wix has become one of the most popular website builders with over 125 MILLION customers. Popularity is comforting when you are in the market for something, and that number of people trusting their online presence to Wix is a great accolade for their service. One of the main reasons for its popularity is its Drag & Drop ease of use and the great templates you can use to make your site look amazing. Very simple and easy to use with around 500 customisable templates suitable for all kinds of businesses. Most changes can be made by clicking on a site element and adjusting it to meet your needs. Includes Artificial Design Intelligence (ADI), which is perfect for beginners as you just answer a few simple questions and Wix wil design your website for you. Obviously you can tweak the design as much as you want. Very reliable with fast load times and a reputation for minimum downtime. 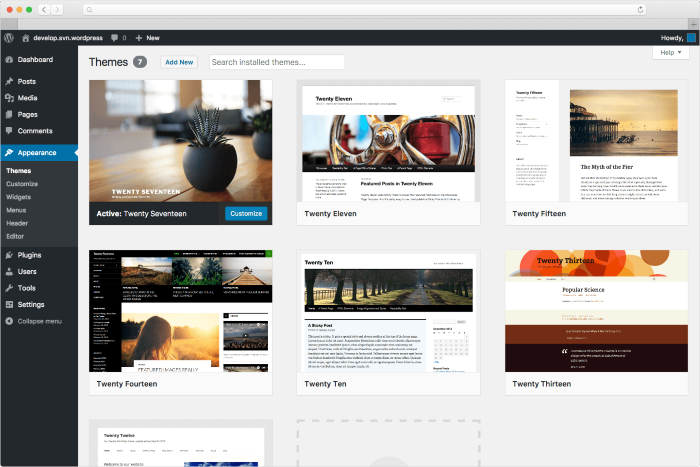 Template Gallery has over 500 designer-made templates, making it easy to find a design you love. Build and host multiple different websites without restrictions on time or being forced to upgrade. If you need to add an online e-commerce store, it’s only available on the more expensive package and email accounts cost £5 extra each. You’ll also have to decide how to get visitors to your site, as although there are a few tools for this included, you may find they’re not enough to offer a real boost to your site. Packages range from £2.55 to £15.57 a month, depending on your needs. You get a free domain name, £75 of advertising vouchers and you can remove the Wix ads, on all but the cheapest package. NOTE: Displayed prices are for yearly subscriptions, paid in full at the time of purchase. Wix has one of the most intuitive user interfaces in this market which makes it great for beginners and you can easily have your website up and running in hours rather than days. You even get a tool to edit your images with Wix, there are help buttons for virtually everything and a vast Online Help Centre if you have any questions. Wix is super-popular because it’s well priced and makes building your gorgeous, pro looking website step-by-step easy without breaking the bank. Weebly is very similar to Wix in that you can design your sites using the drag and drop editor and it has lots of tools and resources to ensure you get your site looking and functioning how you want. If you understand HTML or CSS, Weebly allows you to use them more than its rival Wix, as it has a built-in code editor for added customization to your needs. Simple to use with drag and drop editor for standard customization options such as adding text, images, file uploads, slideshows, membership and advertising options etc. This makes everything easy but with a more limited choice than Wix. 40 pre-designed page layouts including landing pages for PPC, contact pages, portfolios and sitemaps. Good support. No live chat but plenty more including an online help centre, a forum, ticketing system and phone support. They don’t have as many templates as Wix and they don’t seem quite as special looking. However, it completely depends on your tastes and needs. The limited available apps to increase functionality will mean it’s not as powerful in that regard. As with Wix, you’ll need to learn the best ways to get plenty of visitors to your site, as there are only limited resources for this. 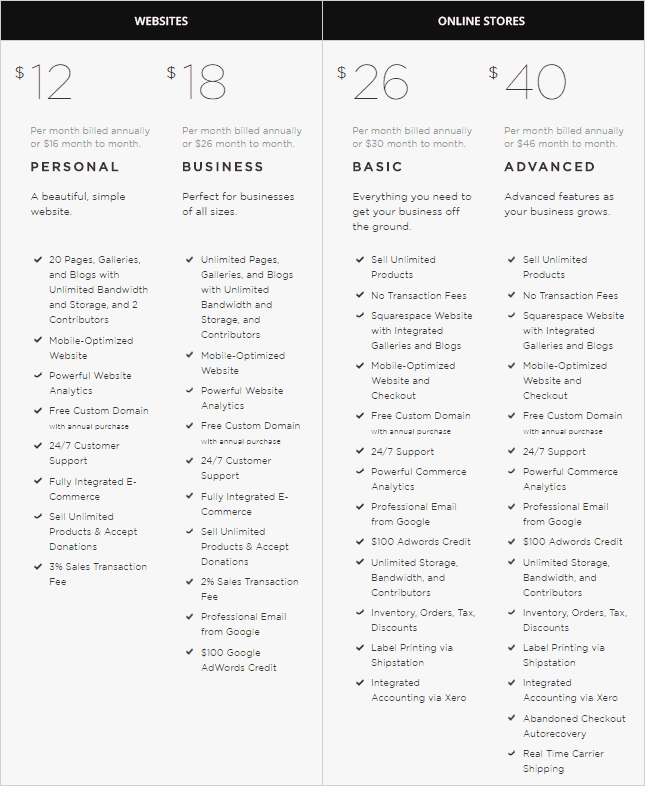 Weebly offers a free option and three paid options. The free option has limited space, can only be used with a Weebly sub-domain, not your own, and your site will have Weebly ads on it. For the full details on each package click here. To be fair, for the majority of users, the resources they choose will depend on the price and probably the templates. Weebly isn’t as strong as Wix template-wise but the cost is competitive and there is that free option if you want to test the water. Squarespace is similar to the first two as it’s drag and drop based and very easy to use. Their tagline is ‘Build It Beautiful’ and their focus is on stunning themes, relying heavily on high-level photography. So if the look of your website is everything to you, Squarespace is well worth a closer look. The most design-conscious of the options here, there’s a huge selection of professional and stunning photography based design templates, or you can upload your own design. Clear and simple management area makes working on your website a breeze. There’s a ton of help on offer with 24/7 customer support, live chat and email tickets and a complete knowledgebase of walkthrough videos and guides, along with a high-quality customer forum. A bit expensive for what you get in comparison to the competition. As with the others it’s not great for advanced marketing tools, so you need to keep in mind you’ll need something else to really bring in the visitors. Packages range from $12 to $40 a month, depending on the package and when you pay. As mentioned before, there isn’t a massive difference between these brands as they have to offer similar things to remain competitive. Squarespace isn’t the most cost-effective here but they do offer what is widely judged to be the most attractive templates, so if that’s very important to you, Squarespace will do you proud. Using WordPress is a bit like installing one of the other choices we’ve discussed straight onto your own site, and you still get a fairly simple interface presented to you when you log in. It’s easy to master as you’ll find a ton of help with a quick Youtube search. Anything you’re ever likely to need will be on there as WordPress is so popular. You can start by simply choosing a theme, adding your content and images, and you’re away. It’s easy to add functionality by using ‘Plug-Ins’ as and when you need them. 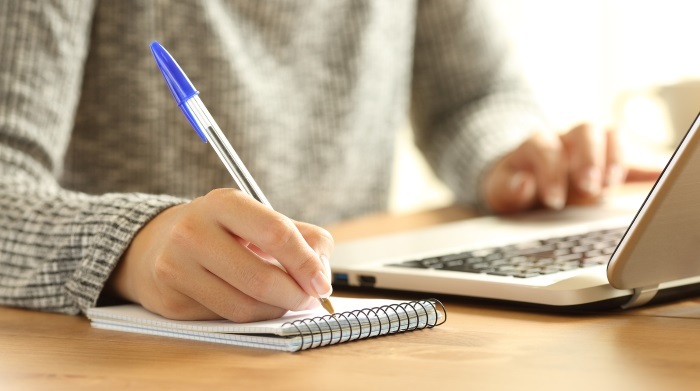 They are small programs that add specific functionality to your website such as adding an email collection form, adding video, slideshows, virtual assistants, sales pages, opt-in forms, the list is never-ending. Very easy to set up via your websites control panel. A few clicks and it’s installed onto your website. 1000’s of free and paid themes to make your site look exactly how you want. You can use ‘plug-ins’ to add functionality to your site. There are 1000’s available and you can do far more with your site than with the other 3 service models. Your website will be on your own hosting so you retain all control and make your own rules. The only real downside for some people when they compare WP with the other choices is the fact you have to buy hosting each month and a domain name for your site. 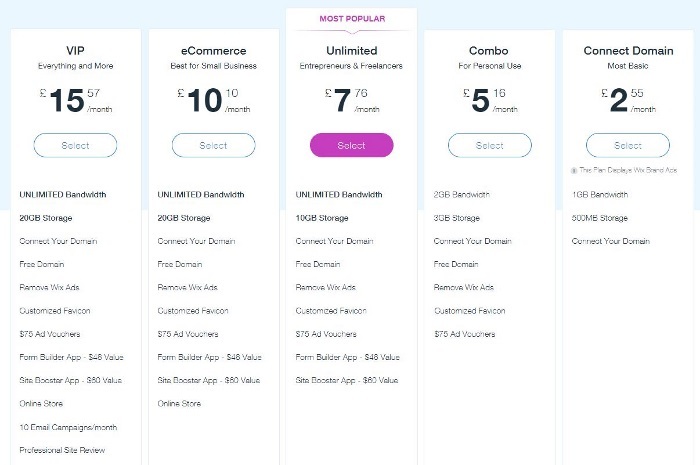 But hosting is cheaper than most of the packages from Wix, etc. Managing your own hosting might sound a little scary, but you don’t do anything other than directly work on your site. The actual management is taken care of by the hosting company. As you can probably guess, you’ll need to learn a bit about getting visitors, although you can get a ton of additional ‘plug-ins’ to help with this. WordPress itself comes as a free install with your web hosting, which you obviously have to pay for. You simply activate WordPress in your hosting Control Panel. Hosting is around £10 a month and domain names are around £8 per year, so not that expensive when compared to the others. We think this is the best option if you want anything other than the most basic functionality. The freedom and potential you get from WordPress can’t be matched by any of the others here and your site will be their equal in the looks department. Our very own solution Adzooma, has been designed from the ground up to solve the problems small businesses face when they wish to build an effective and profitable online presence. It’s easy to get a website online using one of the above options, but the real challenges are making your website an efficient selling tool and attracting as many targeted potential customers as you can who are ready to spend with you. Adzooma offers businesses with smaller budgets access to the same instant 2 step visitor attraction methods the biggest brands online use. Step 1: A professionally designed and written ‘Landing Page’ (or pages for seperate campaigns), targeted precisely to turn your visitors into customers.These pages ensure when visitors arrive on your website from a specific ad, the page is equally as specific and relates directly to whatever you’re offering in your ad. And, because of this seamless visitor path, pinpoint targeting and no searching or distractions, this method is proven to increase conversions. Step 2: Our team of online advertising experts will set up and run your ad campaign, using their vast experience and our specially designed Adzooma software.This will cost-effectively drive new potential visitors to your perfectly crafted, conversion driven landing page. You choose your budget and can easily scale up to any level as you move forward. This means you don’t have to build your own website, learn conversion methods, find your own specifically-targeted visitors, or run your own super efficient online advertising campaigns. We take care of all of that for you, along with testing your ads and keywords to continually try and raise your visitor to customer conversions. If you’d like more details or ask any questions, head over to our homepage here. If you’re brand new to business website building don’t worry, all of these options make it easy to get started quickly and before long, confidently. That’s the whole point after all. Remember, if you’re happy with a learning curve, especially regarding attracting visitors, you can try one of the first 4 options. If you want a super-efficient hands-off option which takes advantage of genuine online advertising experts and their specifically-designed software, take a closer look at Adzooma. Our professionally designed and written landing pages and laser-targeted online advertising can make a real difference to your results as we use the same proven-to-work, big brand methods, without the big brand budget. Click here to head over to our homepage and have a look for yourself.